« Statement. Senator Mooney’s comments on taxi drivers require action. Press Release: Stop denying racism and start dealing with it. Stop denying racism is a problem and start to deal with it. Racism is a problem in Ireland and we do not have the means to deal with it. The Irish Network Against Racism is not surprised to hear that black people are four times more likely to experience racism than white people, according to research published by the ESRI and Equality Authority today. Responding to the research, Catherine Lynch, Director said, “These figures are shocking but unfortunately they come as no surprise to us. They merely reflect the experiences we hear, working with people experiencing racism every day. Today’s research confirms that racism is a problem in all areas, employment, service provision and crime. 75% of racist incidents reported to the Network involve racist violence or crime. While there is equality legislation to help protect people against discrimination in employment and service provision, there is no law on racist crime. Successive governments have failed to implement effective legislation to address racist crime. Nor have they provided adequate supports to ensure racist incidents are recorded. We call on this Government to urgently reform the law to ensure racist crime is recognised and punishable. Racism is a serious issue across Europe, as it is in Ireland. Ireland holds the EU Presidency next year and our Government can show leadership by making sure we have legislation to prevent and punish racist crime. We all have a role to play in addressing racism. It is clear that most people in Ireland do not support racism. It is time for a sometimes silenced majority who oppose racism, to be heard. We can all report racist incidents. We encourage people who have witnessed or experienced a racist incident, to report it. 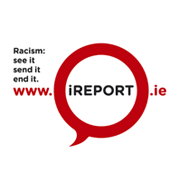 People can report racist incidents to the Network, in confidence, including through our website at www.enarireland.org. Reporting racist incidents gives people the opportunity to stand up and be counted, sending the message that racism will not be tolerated in Irish society. For further information, contact Catherine Lynch on 087-2507942. The Irish Network Against Racism is a national network of organisations working to address racism in Ireland and beyond. We are the national coordination for European Network Against Racism. The Network coordinates the national independent racist incident monitoring system. In 2011, 149 incidents were reported to the Network. This number was exceeded by September 2012. 75% of incidents involve racist violence and crime. Racist incidents are under-reported internationally and research in Ireland suggests that at most, 1 in 6 people report racist incidents.